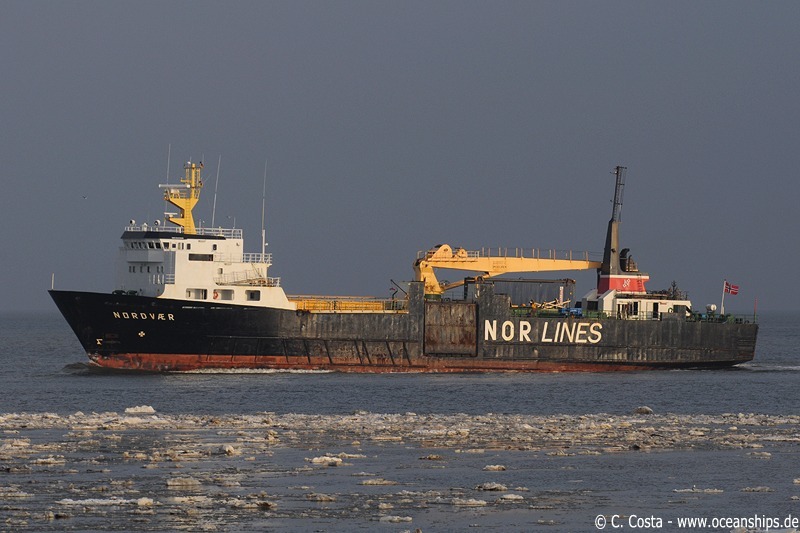 Refrigerated cargo vessel Nordvær is leaving Cuxhaven on February 23rd, 2010. 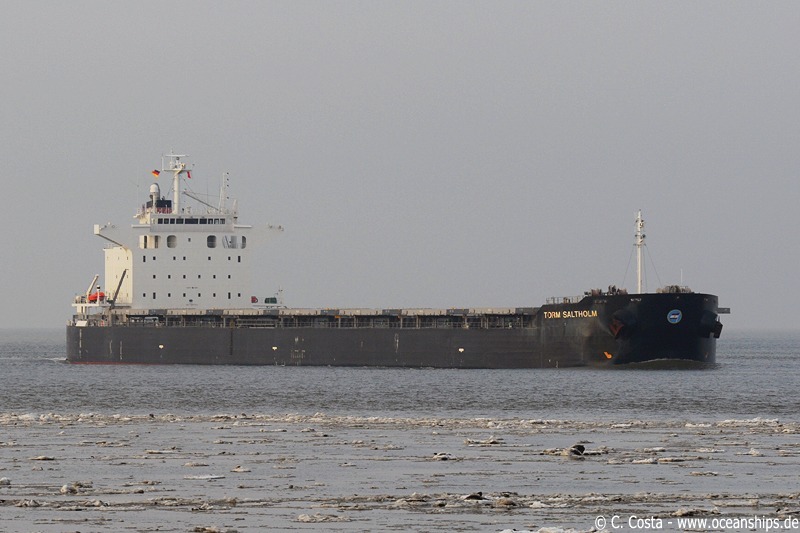 The fully loaden bulk carrier Torm Saltholm is passing Cuxhaven on February 23rd, 2010 with an impressive draft of 14.4 metres. 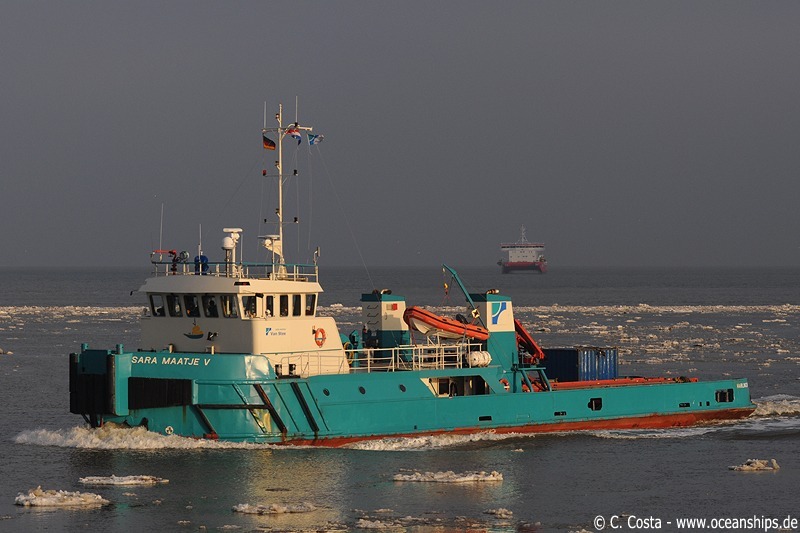 Offshore supply vessel Sara Maatje V is leaving Cuxhaven bound for Mittelplate oilfield on February 23rd, 2010. 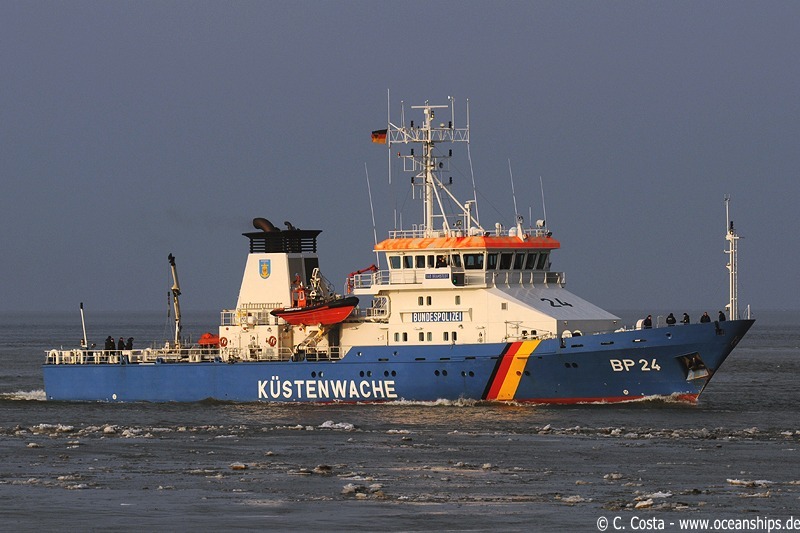 Federal German patrol vessel Bad Bramstedt (BP 24) is returning to Cuxhaven on February 23rd, 2010. 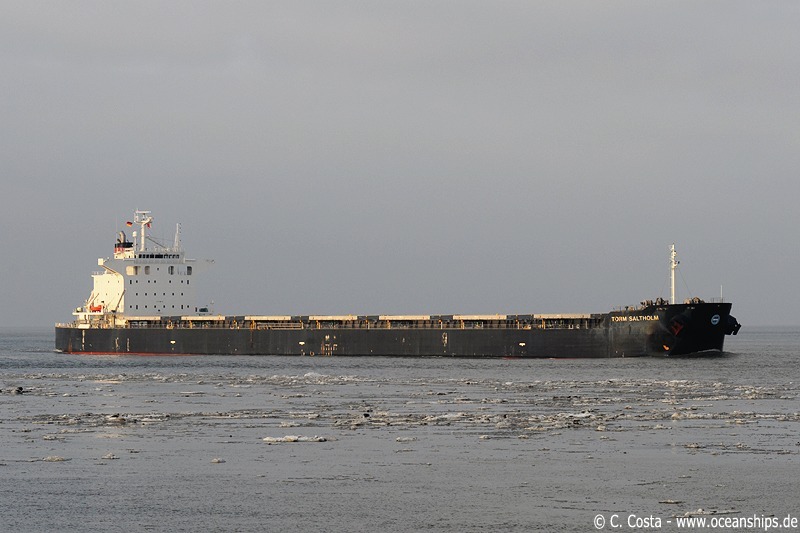 Bulk carrier Inviken is passing Stadersand through the icy waters of the river Elbe on February 17th, 2010. 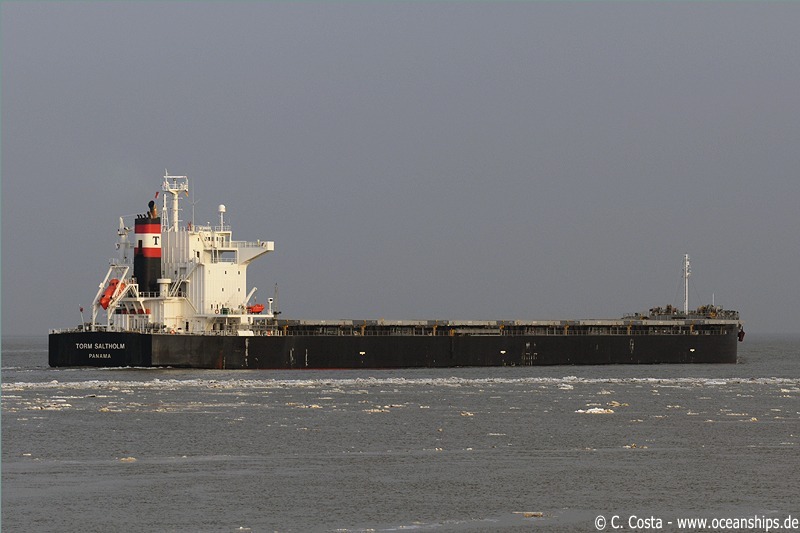 Self-discharging bulk carrier Yeoman Bridge is passing Stadersand through the icy waters of the river Elbe on February 17th, 2010. 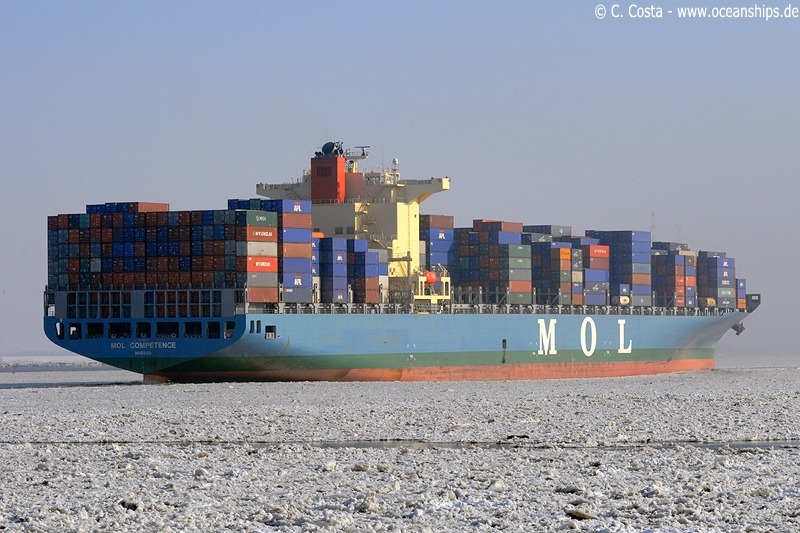 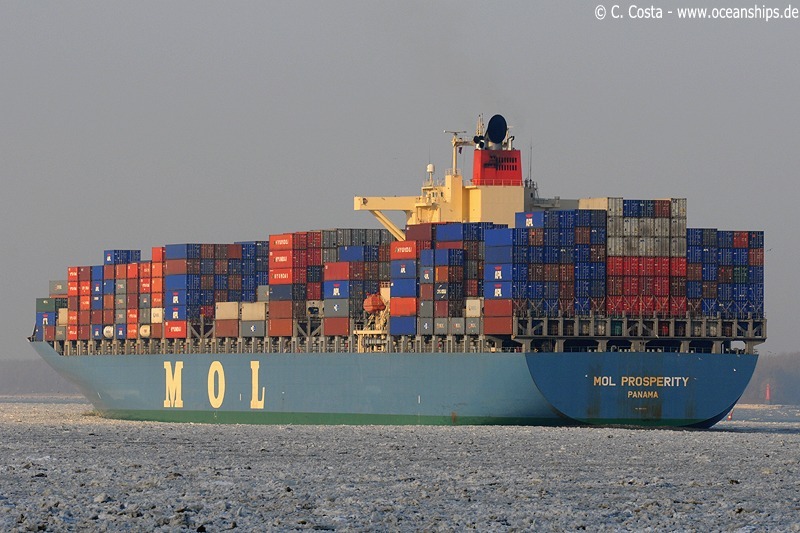 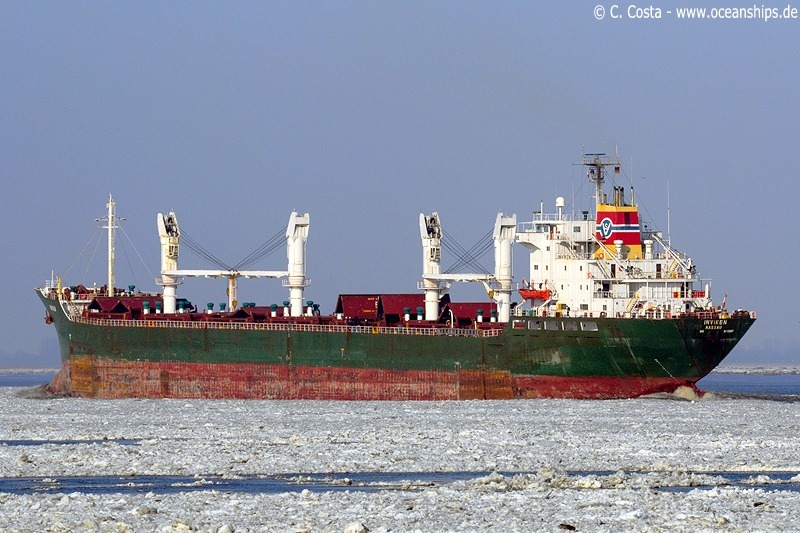 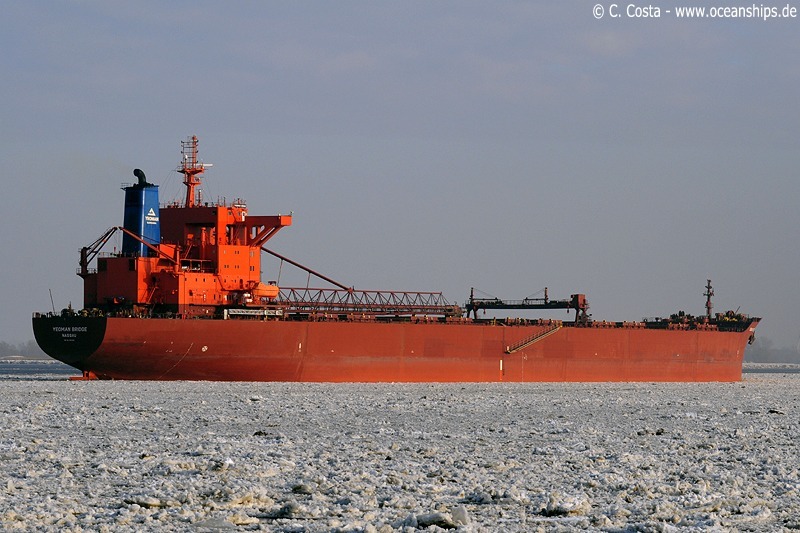 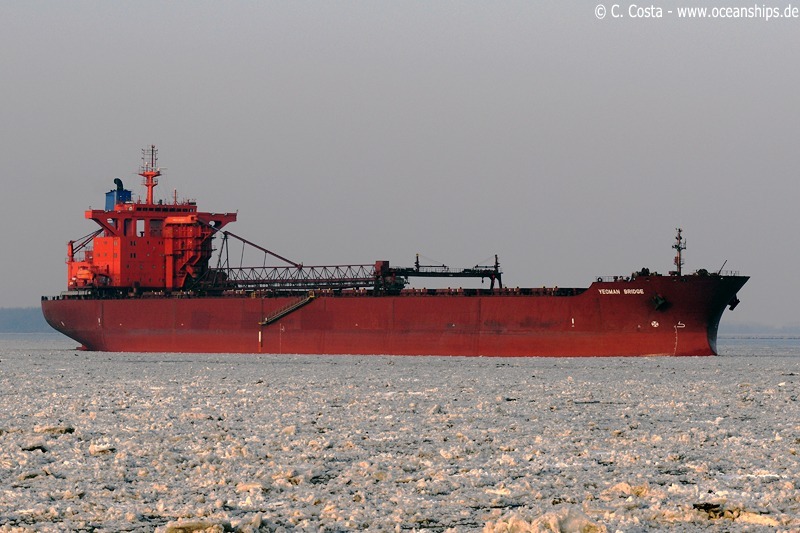 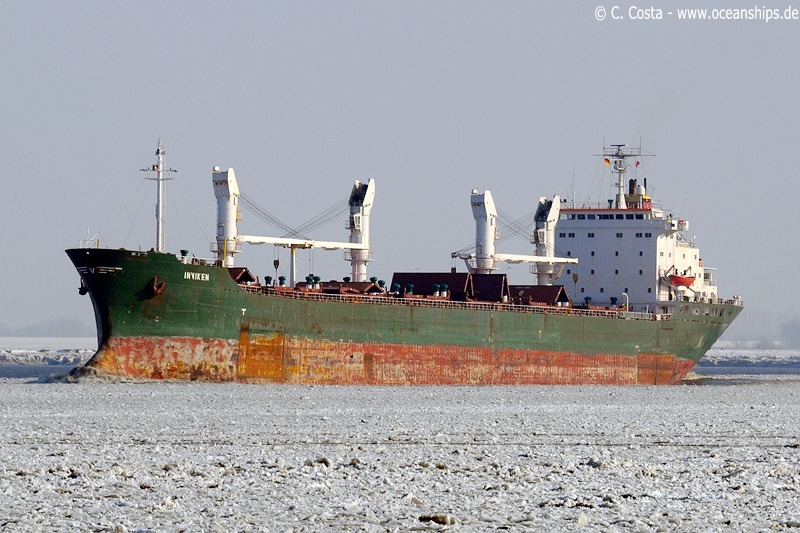 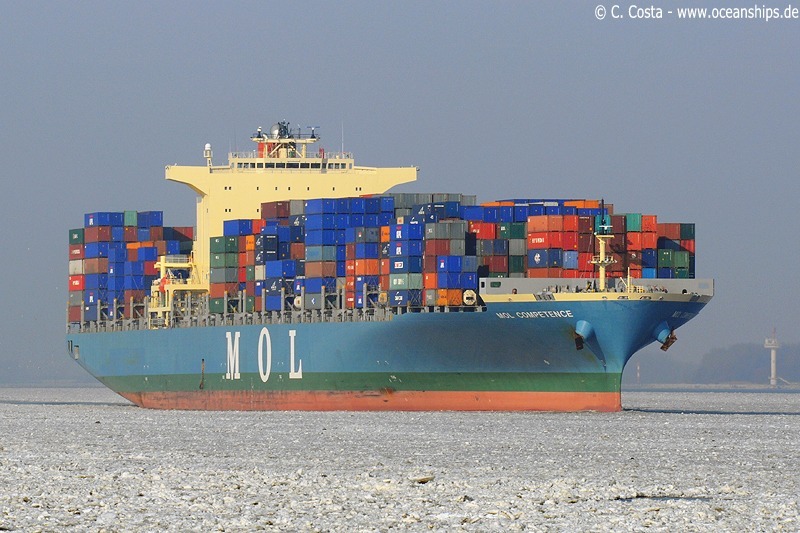 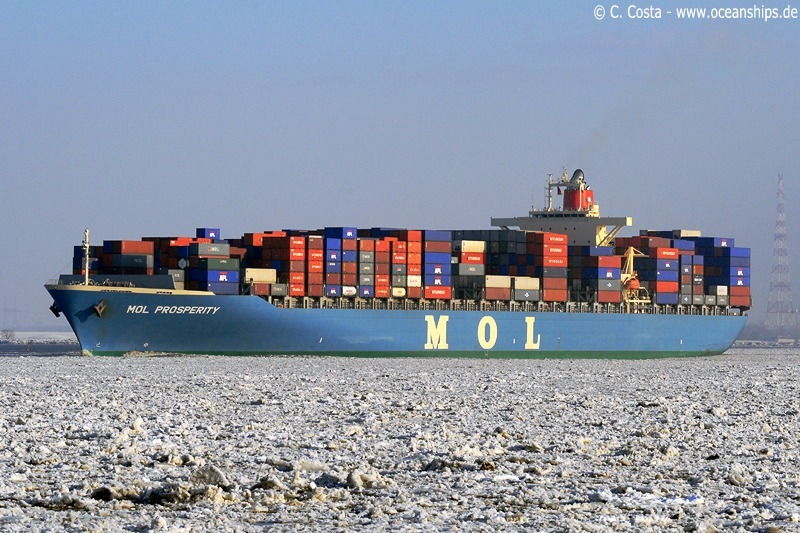 MOL Competence is passing Stadersand through the icy waters of the river Elbe on February 17th, 2010. 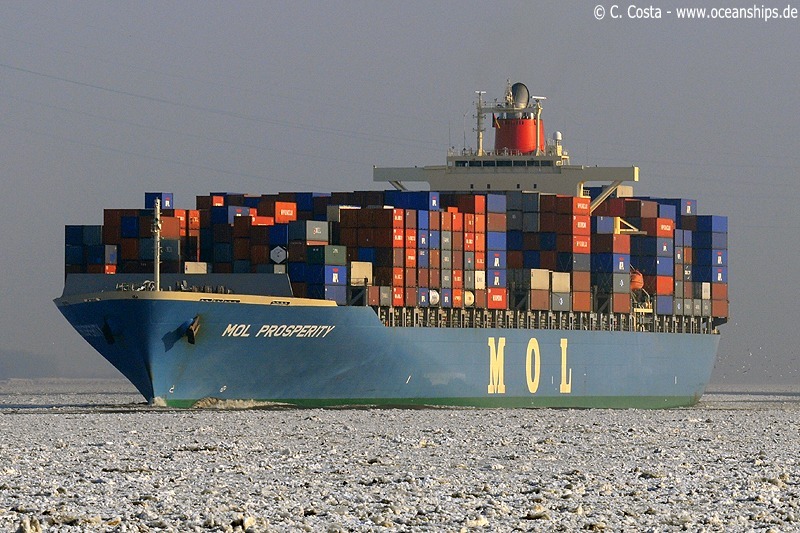 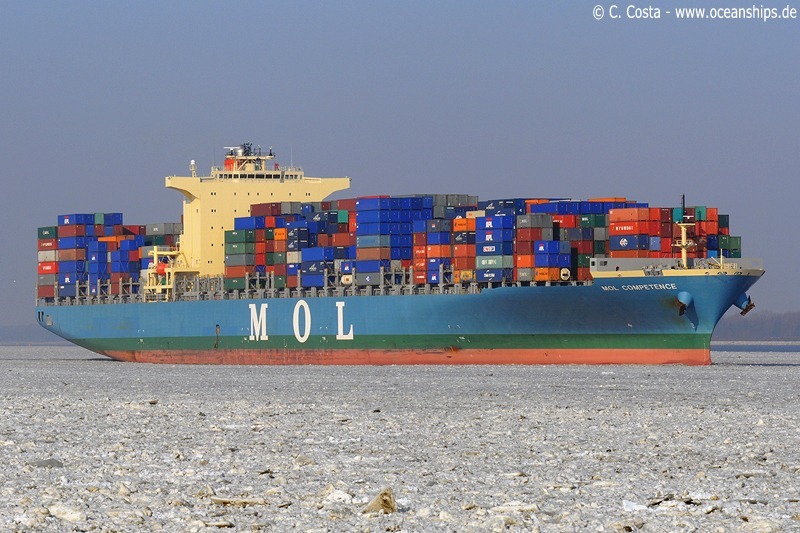 MOL Prosperity is passing Stadersand through the icy waters of the river Elbe on February 17th, 2010. 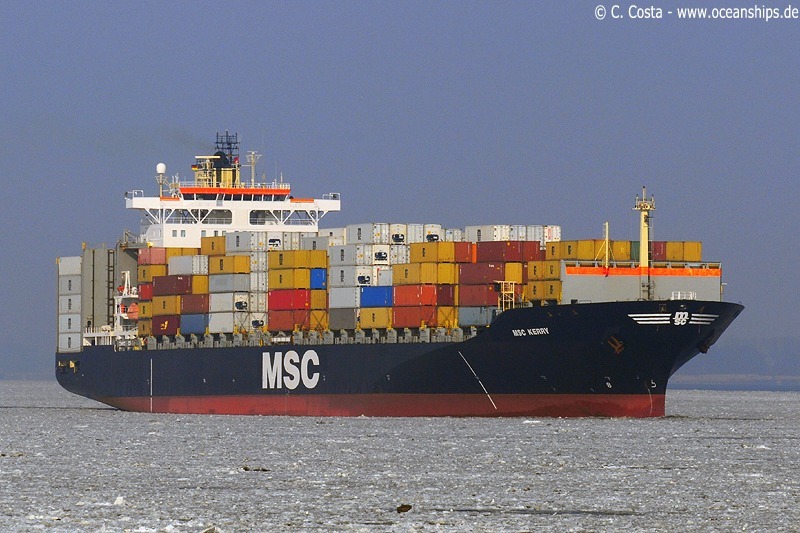 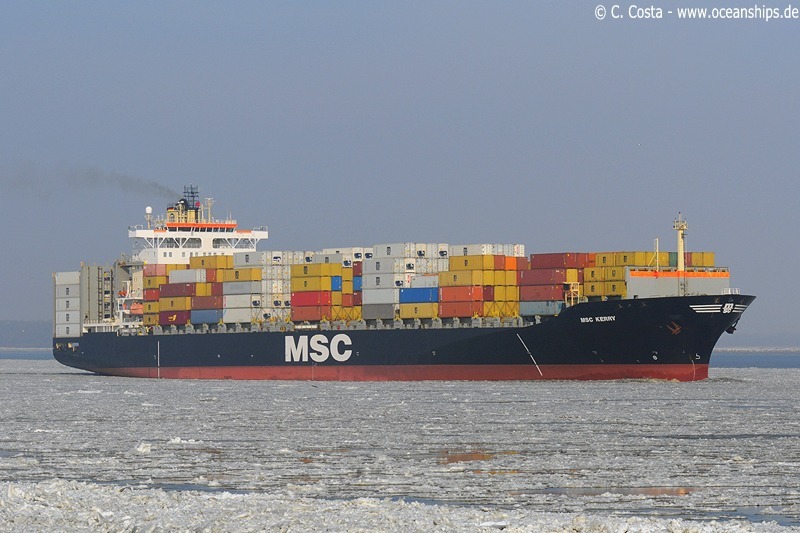 MSC Kerry is passing Stadersand through the icy waters of the river Elbe on February 17th, 2010. 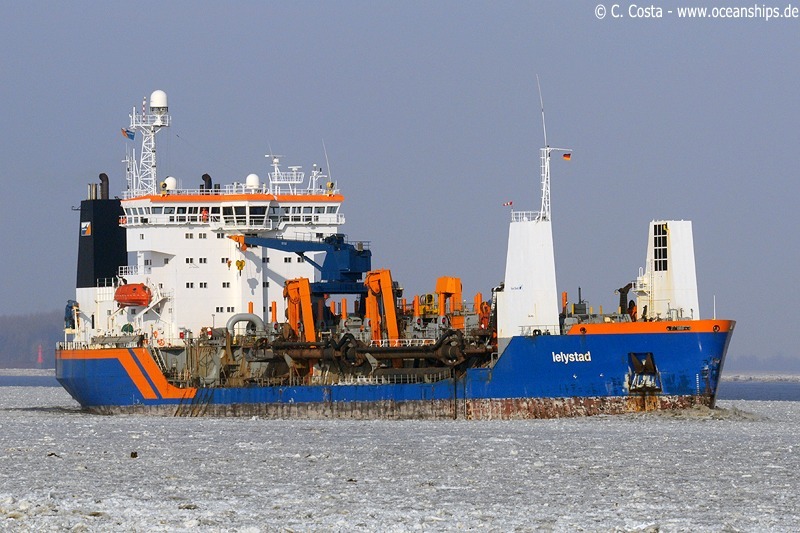 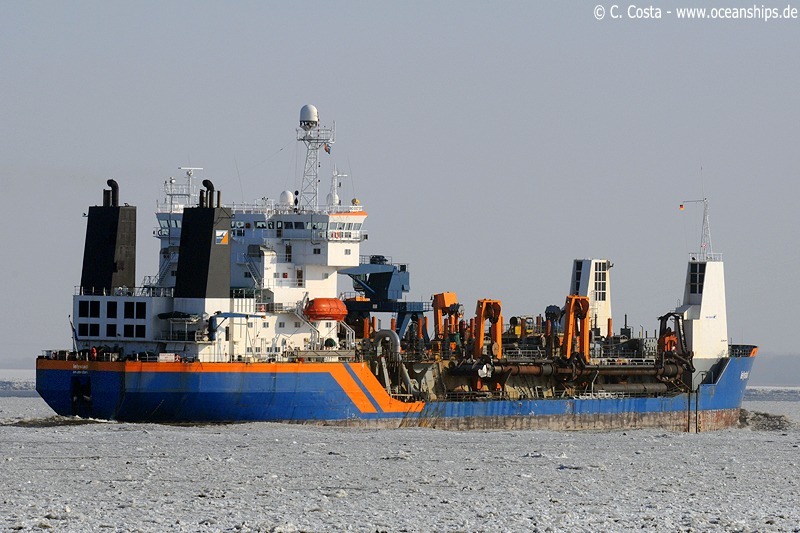 Hopper dredger Lelystad is passing Stadersand through the icy waters of the river Elbe on February 17th, 2010.